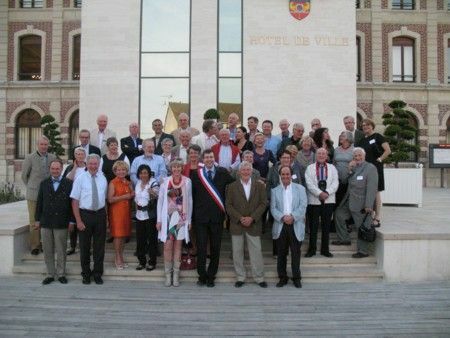 The Rotary Club of Cranleigh has been twinned with the French R otary Club at Romilly-sur-Seine, located south-east of Paris, since 1989. Romilly is a small market town with a population of about 12,000. The Romilly Club has 36 members: they include the owner of the Leclerc hypermarket, a surgeon, several doctors, a car dealer, an insurance representative and a dentist. 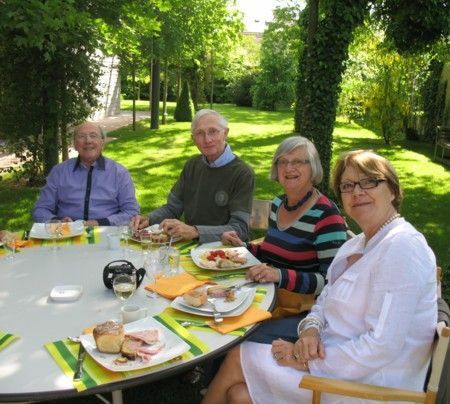 Members of the Cranleigh and Romilly Rotary Clubs try to arrange weekend visits to each other during alternate years. They may stay with old friends or book rooms in local accommodation. These visits usually include excursions to local places of interest, e.g. the home of General De Gaulle or Portsmouth Historic Dockyard. Mike Burnham and Graham Oliver from the Cranleigh Club have been regular visitors to Romilly since the twinning began. There are also occasional reunions with Romilly's other twin clubs of Neuss am Rhein and Antwerp East.